New additions to my beauty stash are few and far between nowadays as I've been trying to become a more conscious consumer while downsizing my collection of products. Makeup purchases have been an even rarer occurrence since I've only been wearing makeup maybe twice a week or so, but autumn has brought with it a flurry of events that have led to a few purchases! If you've been reading my blog for a while, you'll know I'm a fan of Inika (see Inika brand spotlight) and, in particular, their foundations. 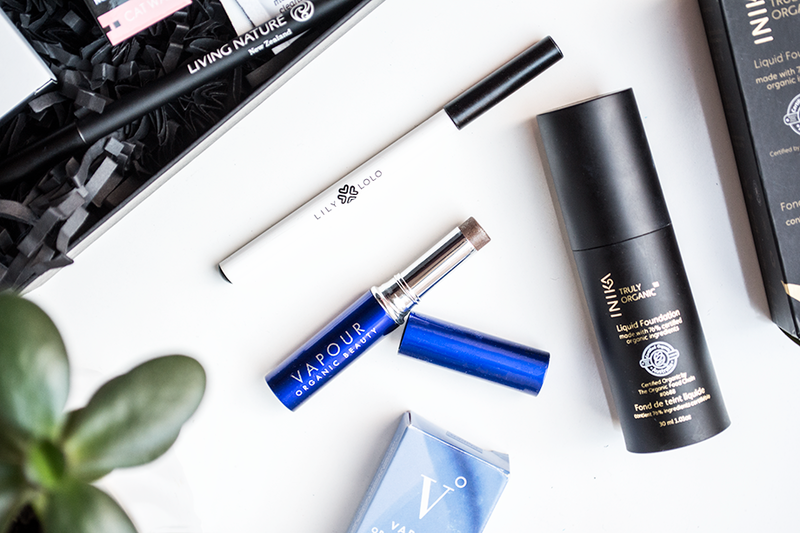 After trying samples of the Liquid Foundation earlier in the year, it had been on my shopping list for a while! My skin loves this medium coverage foundation. I saw on Instagram that they've just reformulated to include Hyaluronic Acid though so I can't speak for the performance of the new formula. I love the sleek black packaging, although I do kind of wish it was in a clear glass bottle so I could see how much product is left! Next up is a repurchase of the Lily Lolo Eye Pencil (reviewed here). I have the black shade which is intensely pigmented and great value at £6.99 - much cheaper than some of the eyeliners from other natural makeup brands. It's a very soft pencil so it can tend to smudge easily, but a bit of matching eyeshadow pressed over the top to set it in place always works for me! The final product is something I actually bought quite a while ago on a whim as it was on sale, but somehow I'd forgotten about it! The Vapour Organic Beauty Mesmerize Eye Shimmer in "Ember" is described as a gunmetal shimmer shade and it's seriously gorgeous, as is the packaging! I didn't realise at the time that it contains carmine, which I usually avoid, so (even though it's a totally beautiful shade!) this has to be just a one-off purchase for me. I wasn't planning on adding any more makeup to my collection for a couple more months... until a little surprise package arrived on my doorstep! 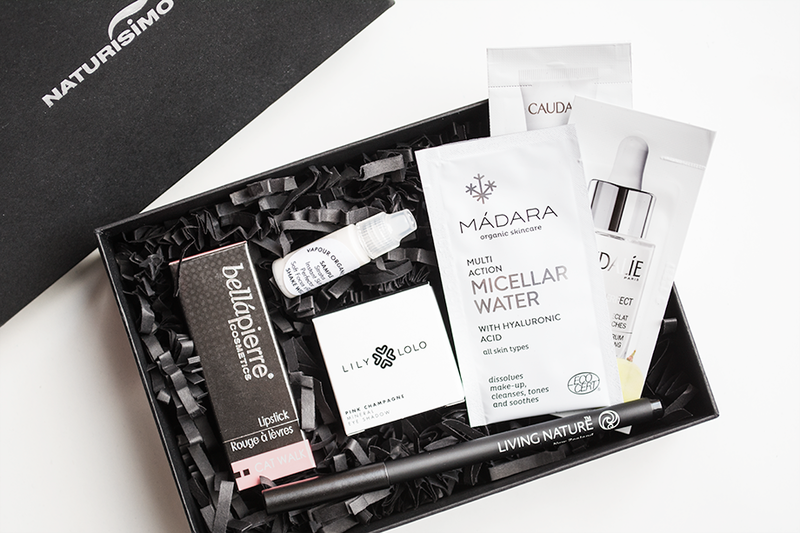 Naturisimo, one of my favourite online stores, have just released another limited edition Makeup Discovery Box*. It contains seven items in total: three full-size products - Bellapierre Lipstick in "Catwalk", Lily Lolo Loose Mineral Eyeshadow in "Pink Champagne" and Living Nature Eye Pencil - along with some samples from Vapour Beauty, Caudalie and Madara. This is a really great box for anyone looking for some new makeup to try and it's amazing value too at only £9.95 (worth £40)! Love the packaging of these items! Absolutely love the Inika foundation, one of the best ones out there. That Vapour shades is stunning too!